The eagerly awaited 2019 Sierra Denali is starting to show up at GMC dealerships around the country. This all-new premium pickup offers new powertrain and performance options, a new design, and an array of cutting-edge new features and technologies. The 2019 Sierra Denali offers a standard updated 5.3-liter V8 engine, an available 6.2-liter V8, or an available 3.0-liter inline-six turbo-diesel. Both V8s feature new Dynamic Fuel Management technology that increases efficiency and power. Paired with a 10-speed automatic transmission, the 6.2-liter V8 packs a segment-leading 420 horsepower and 460 lb-ft of torque. Also featured on the 2019 Sierra Denali are new Adaptive Ride Control and a new Traction Select System. 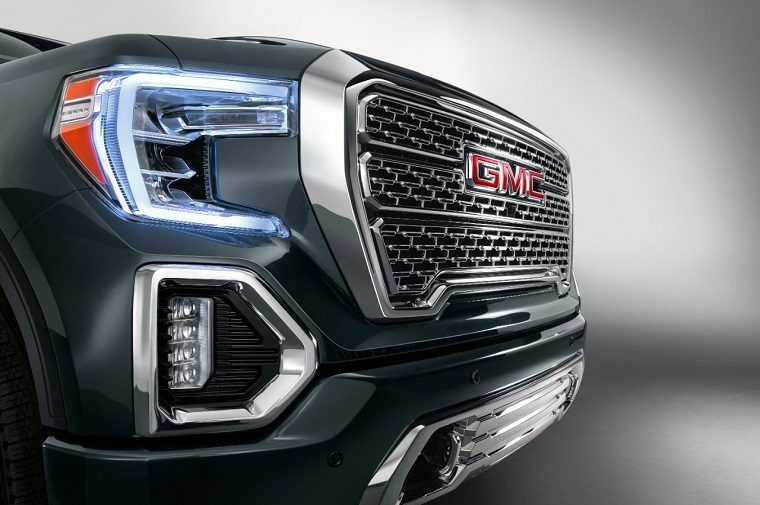 These allow for a more controlled, comfortable ride and let drivers adjust the Sierra’s performance in a variety of driving conditions and terrains. In the back, the Sierra Denali features the industry’s first MultiPro Tailgate, which offers six different positions and functions to make working, loading, and cargo box access easier than ever. The cargo box itself is another industry first: It’s made of carbon fiber for heavy-duty scratch, dent, and corrosion resistance. The Sierra Denali also offers new technologies like the ProGrade Trailering System, a multi-color Head-Up Display, and a rear camera mirror to make driving and hauling easier. The Denali tag means this pickup is loaded with luxurious and distinctive amenities, too. 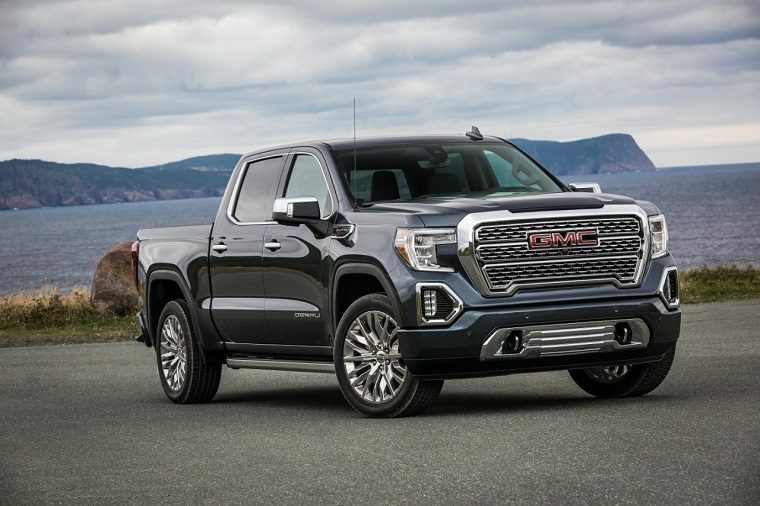 The interior features leather-appointed seating, wood trim, an 8-inch GMC Premium Infotainment System, and a seven-speaker Bose premium sound system. Exterior touches include new LED lighting with C-shaped elements, chrome accents, and integrated dual exhaust with bright polished outlets.